Home » General » Polar week coming! As Arctic sea ice approaches its yearly minimum, the public interest into the Arctic normally approaches its yearly maximum. 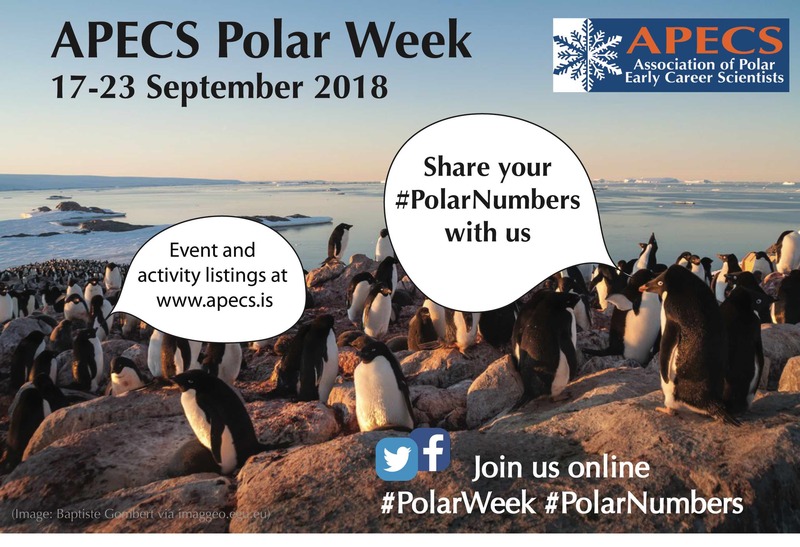 This is why we want to draw your attention to this opportunity to satisfy your hopefully unsatisfiable hunger for polar knowledge: The APECS International Polar Week from September 17th to September 23rd. What is APECS? The acronym stands for ‘Association of Polar Early Career Scientists’. It is a network of young scientists which is very committed to promoting polar science in the public. Each year in March and September, corresponding to the Equinox days, APECS hosts an event series called the International Polar Week. One of these events is the Polar Film Festival: Each day, you can watch several short movies shedding light on different aspects of the polar regions. You can watch fast-forward recordings of melting glaciers, look over scientist’s shoulders as they examine one of the world’s most remote, hostile and beautiful regions or simply get lost watching polar bears and penguins in their eternal fight for the Cutest-Polar-Animal-Award. In addition to this, we plan our own contribution to the Polar Week, but you’ll have to wait until Monday to see what it is! In the meantime, there are even more opportunities to sneak a peek into the life of polar scientist: Currently, no less than 11 ArcTrain PhD students and 2 PI’s are on board of R/V Polarstern doing…wait…you’ll have to find out yourself! Hint: Start with a short report about the events of the first week. With this, we want to conclude and wish you (and us!) an inspiring International Polar Week. See you on Monday!